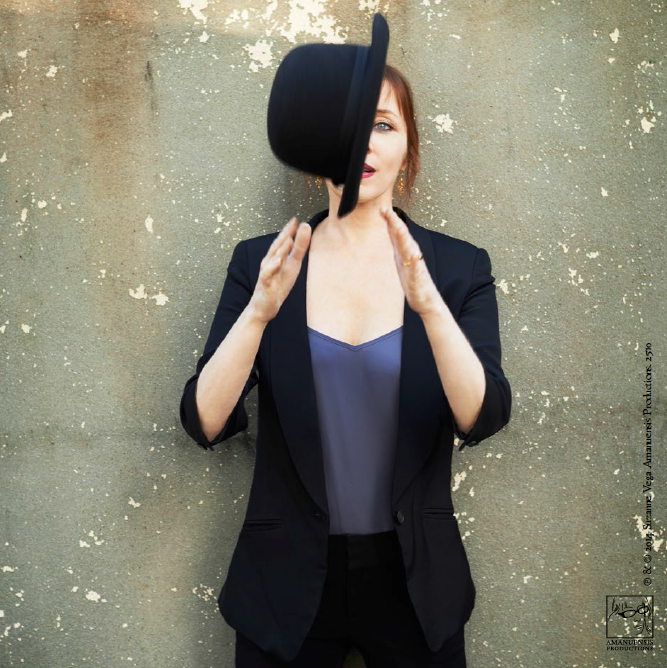 One major project from 2013 that I would like to talk about is the new album from Suzanne Vega. The record is now complete and coming out world wide in Feb 2014. 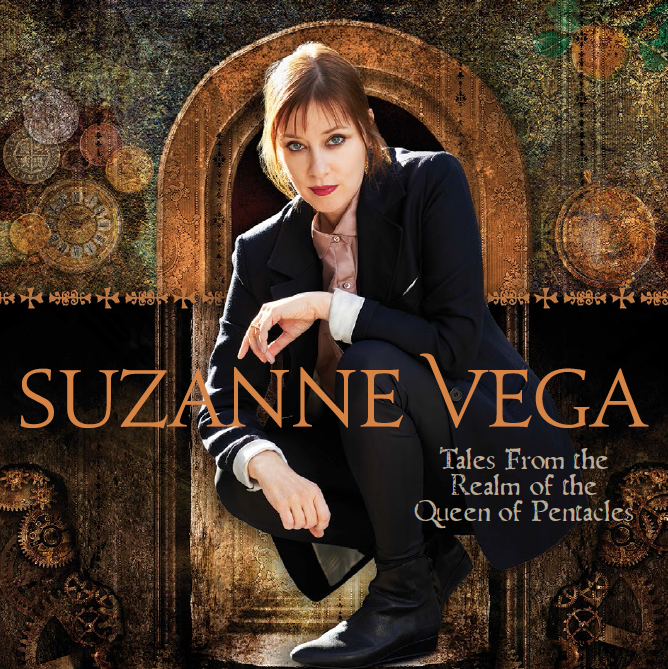 It is called “Tales from the Realm of the Queen of Pentacles”. 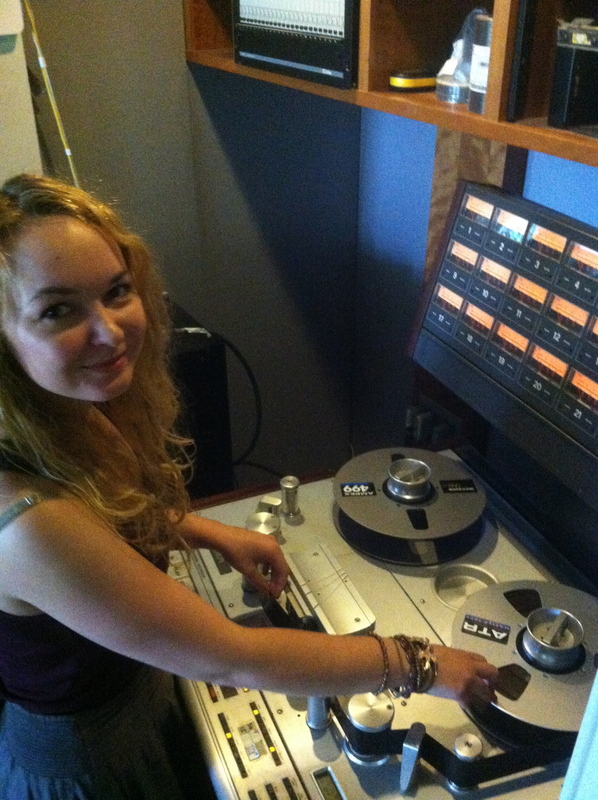 I got to produce and play guitar on it and I am happy to say it is finally coming to fruition. 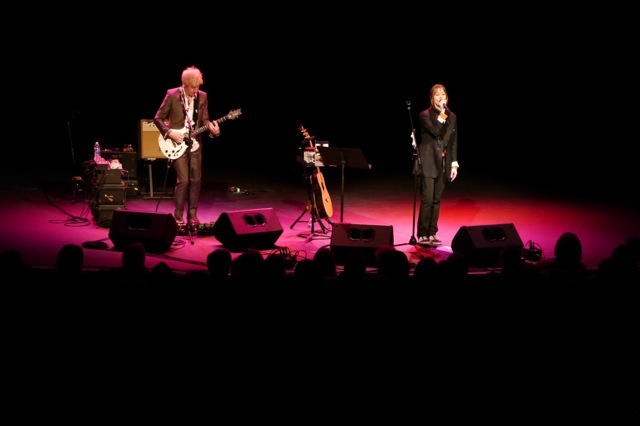 I have been musical director and touring companion for Suzanne for the last few years and in early 2013 Suzanne asked me to help her demo some new songs. Suzanne is an artist who is constantly writing, in the sense of writing ideas in her journal and making ruff demos on her iPhone, and so we knew she had a lot of beginnings and concepts for new songs. However one problem with a constant touring schedule is one gets constant interruptions, so its hard to finish an idea before getting back on an airplane or tour bus to go off and play more shows. She wisely decided to cut back drastically on the amount of dates we would play in 2013 to give us room to get a regular writing routine going. We came up with a plan to meet every Thursday in a small demo studio in NYC where we could meet and chat and try things out. I would then take my notes home and work up the ideas so that the following week we would have a more formed version of the song. Some songs came quickly. “I Never Wear White” for instance almost wrote itself. Suzanne had the great first line and concept and she asked me for a riff like the Rolling Stones. I had just made a note of a riff that had come to me the other day and started playing that. The two seemed to fit hand in glove and we were off to a great start. Other songs like “Don’t uncork what you can’t contain” took a lot of back and forth. 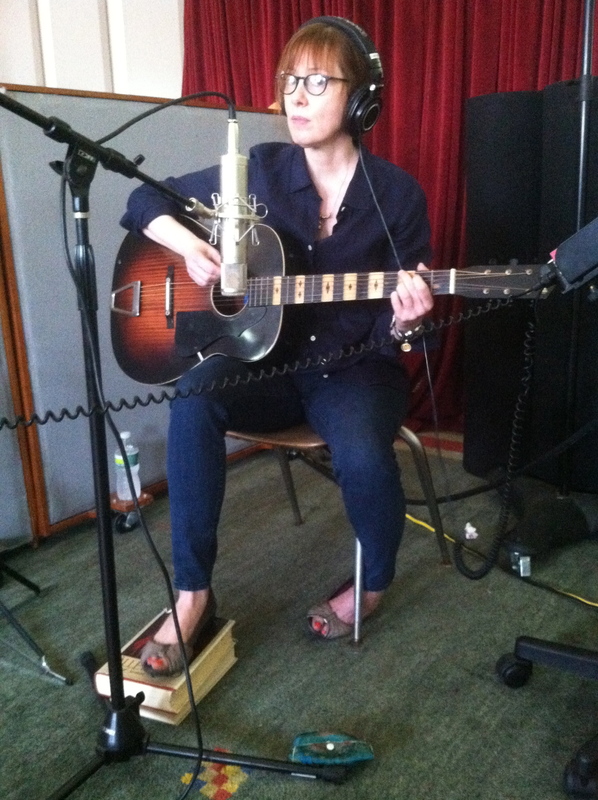 Suzanne had a strong concept for the song but it took us a while to find the right setting. Each song took its own path and we would adjust our writing method to suit but by having this regular writing date, we started to make great progress. Another method we employed when possible was when we did go out on tour and play concerts, we would play the new songs in front of a live audience. This really helped us figure out what was working and what was not. Nothing quite like that feeling you get when you stand on stage and play a new song for an unsuspecting audience. The song really either stands or falls, and when it goes well it is a thrill. One night in Seattle at the start of a tour of the US, Suzanne turned to me and said “Let’s do Never Wear White …” . We had only ever messed around with this in soundcheck before and it was pretty raw. Well we played it and the crowd went nuts! That was a really reinforcing moment for us, the feeling like we were doing something right! By about June we had 10 to 12 new songs mostly written and it became apparent that we needed to start recording the record if it was to be completed that year. I had been asking to try my hand at producing a record for Suzanne since “Beauty and Crime”, the last album she did for Blue Note in 2007. In the spring I made some pilot recordings of “I Never Wear White” and “ Don’t Uncork What You Can’t Contain” with Jay Bellerose and Sterling Campbell respectively on drums and Tony Levin on bass.These sessions turned out fantastic and so going forward it seemed right for both Suzanne and I that I produce, and so I was handed the reins to go and make it all happen. During the whole writing process Suzanne and I had done a lot of listening to our favorite artists, passing tracks back and forth and we had mused about how it would be great to have such and such play on this track and so and so play on this track. We also knew we had access to a great coterie of musicians in New York, many of who at this point were good friends and open to our ideas on approach and texture. 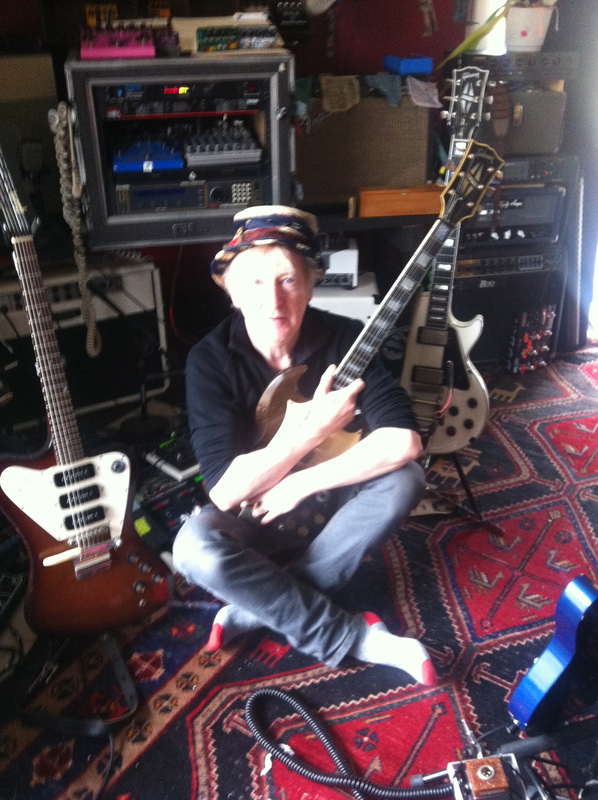 I decided that given the almost “Old School” way of working up the new songs live before even going near the studio, that it would be really interesting to cut the songs live with everyone playing in the same room where ever possible. In these modern days, a lot of times tracks are sent back and forth via the internet, and the musicians lay down their parts in isolation. There is no doubt that this can be a godsend for particular circumstances and budgets, but by the same token something fundamental can be lost in the ether-net. 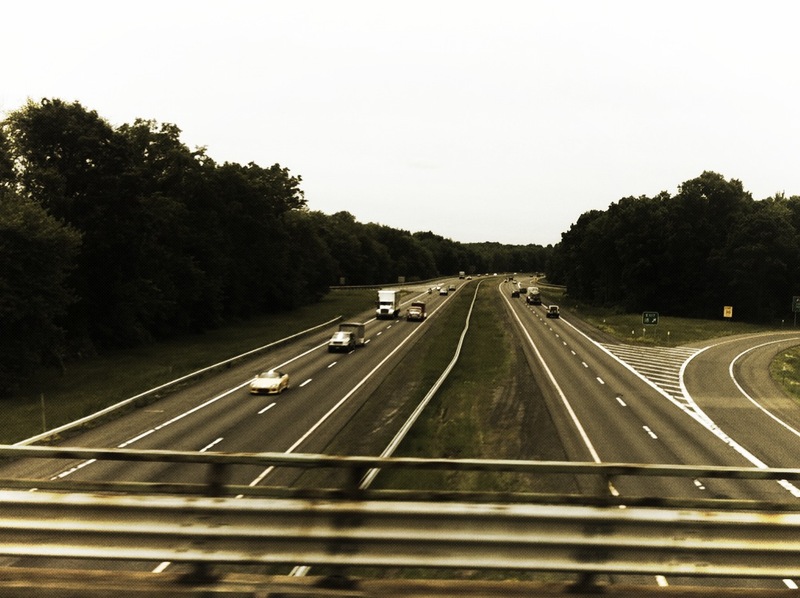 Instead, with my go-to recording engineer Michael Tudor at the helm, we booked into Clubhouse Studios, a residential studio in upstate New York where we could all stay and really dig in for a few days at a time with minimum distractions. 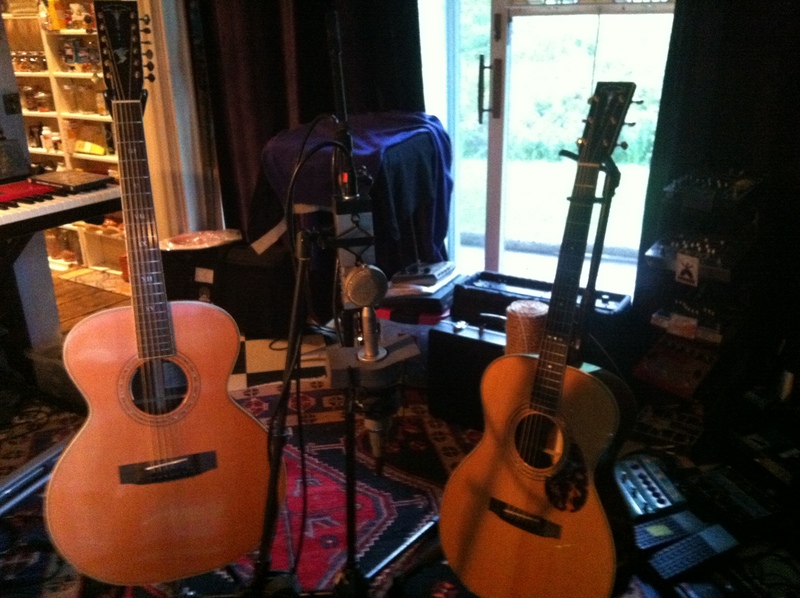 This first set of Clubhouse sessions in July yielded 4 songs almost completed save some detail overdubs. We had Zachary Alford on drums and Gail Ann Dorsey on bass. 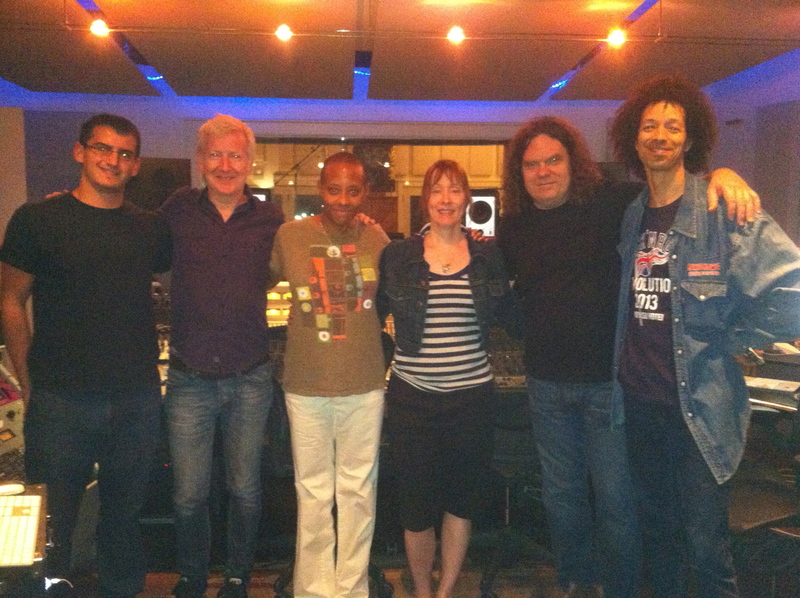 I had worked with both these great musicians with the David Bowie band in the past and luckily we were able to grab them in gaps in their busy schedules. Interestingly Zachary had grown up only blocks from Suzanne when they were both really young, so there was this really interesting connection or reconnection going on. Many stories from the past were retold over the dinner table those evenings. I had to go off and do some dates in Czech Republic with my friends from Czechomor and so we took a break for most of August. I was however able to write some string charts before I left and we were able to book a orchestra date in Prague on my day off. 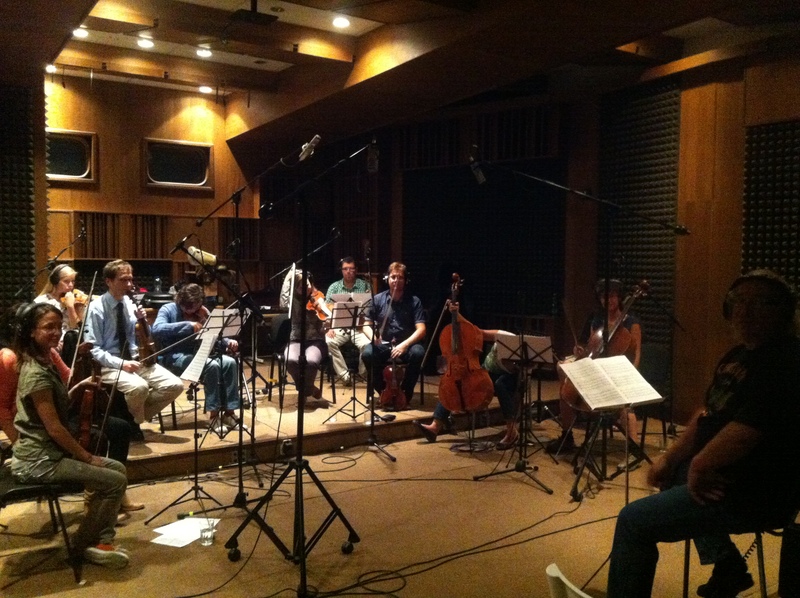 We recorded strings on three songs that day with the Smikov Chamber Orchestra. 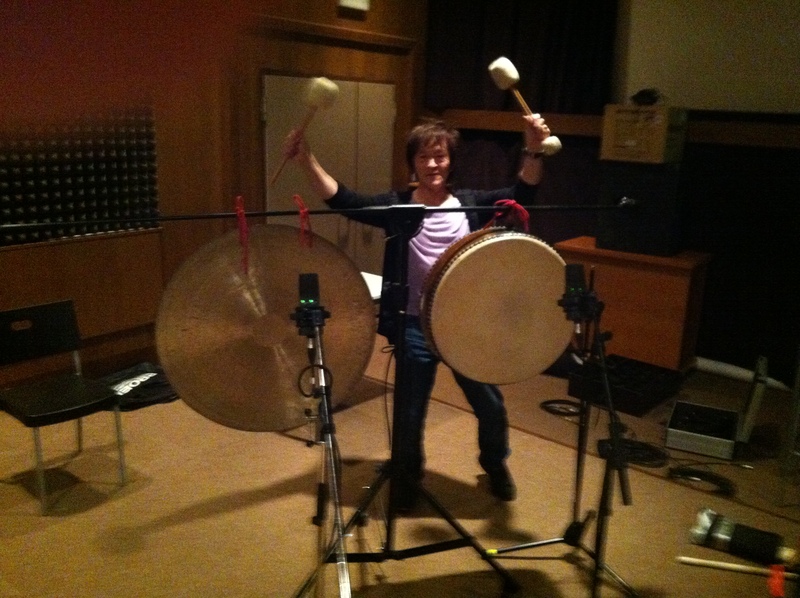 I also got to record Taiko drums and Shakuhachi flute played by the amazing Joji Hirota who was on tour with me at that time. We booked another session at Clubhouse in early September on my return to record another batch of songs. 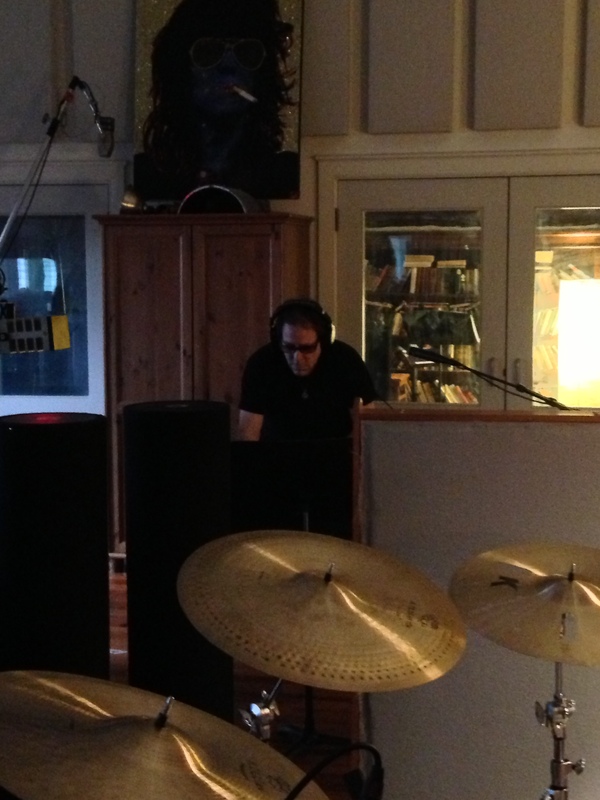 This time we had Sterling Campbell on drums, Doug Yowell on drums and Mike Visceglia on bass. I had decided there were some songs where we should try a two drummer approach and Doug and Sterling complimented each other perfectly. Here we recorded another 4 songs, again almost to completion and with the 6 songs we had previously done it suddenly felt like we had a record. 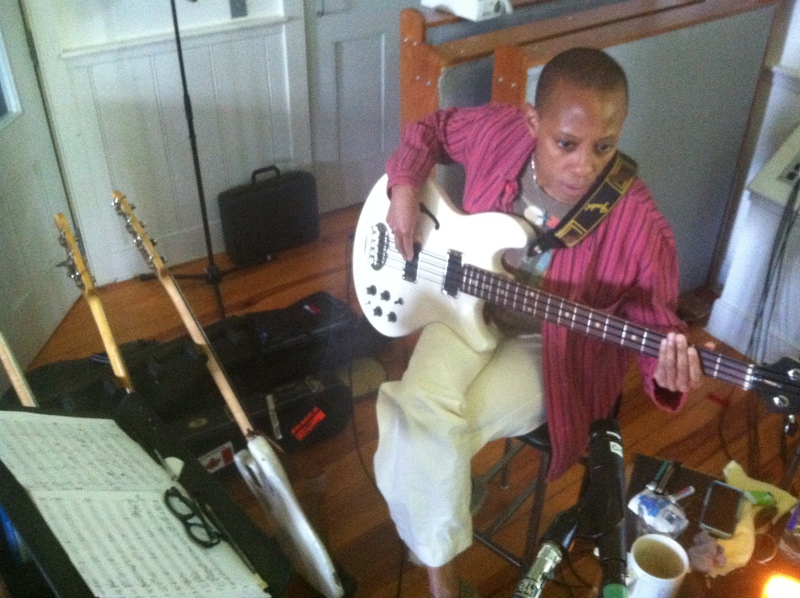 The rest of September was spent finalizing all the overdubs, we had a day with singer Catherine Russell (David Bowie/Steely Dan/Paul Simon) who effortlessly arranged and sang backgrounds on 4 songs and a day with Larry Campbell ( Bob Dylan/Levon Helm) who contributed banjo, mandolin and cittern to 4 songs. We were lucky to be able to send a track to London to Alison Balsom (London Symphony Orchestra) for a set of terrific trumpet overdubs, and now were on the home stretch. 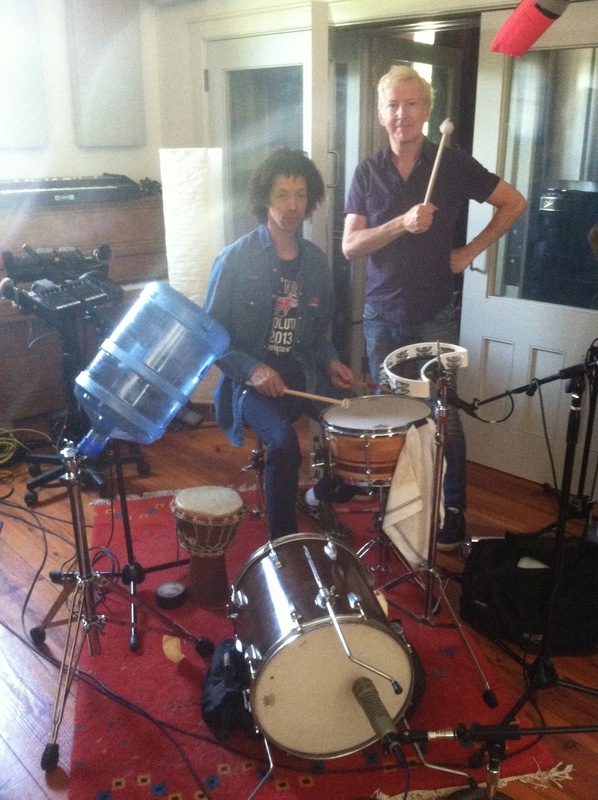 Kevin Killen (Peter Gabriel/Kate Bush/U2) was drafted in to mix the record and by the end of October we had a finished record. Overall it was a tremendous pleasure to work with such gifted people and to see it all spring to life. From tiny iPhone demos of budding ideas, to cinematic technicolor fully realized recordings with orchestra, the year ended with a great sense of completeness. We are now heading to Europe to start promoting the new album. Already the reception has been terrific from Radio in UK, Germany, Poland and as far away as Japan. Here’s hoping it continues to grow and grow in support. This entry was posted in News and tagged dougyowell, Gerry Leonard, gerryleonard, Kevinkillen, news, Queen of Pentacles, spookyghost, Sterling Campbell, studio, Suzanne, suzannevega. Bookmark the permalink. Fantastic! I can’t wait to see you all at the Barbican in London! Wow! By reading your post, it looks like that you all had a great time together! I can’t wait for listening the album! every day. It will always be exciting to read articles from other authors and use something from other web sites.